This is my Bacon & Day Silver Bell No. 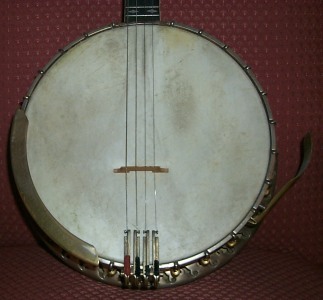 3 plectrum banjo. 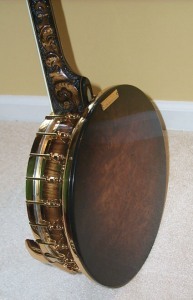 The banjo has all of its Banjo & Day original parts. Based on the serial number it dates to ca. 1927. It was amazingly purchased off an internet auction. 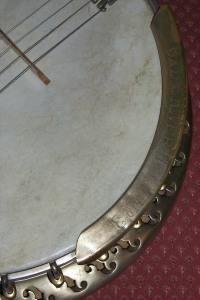 The banjo had been in storage for over twenty years before being put up for bid. It belonged to a lady whose grandmother had purchased it in the 1920s and was a performer in the Alaskan gold mining towns during the roaring '20s and '30s. Needless to say it has a rich history. 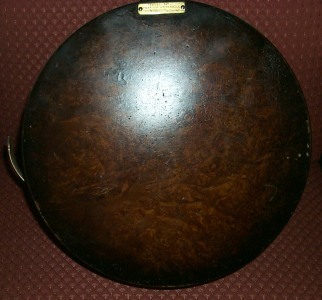 This banjo had seen a lot of playing time when I got it. 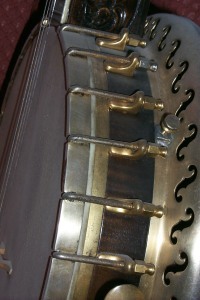 Being a banjo novice my first inclination was to get out all of my wife's cleaners and give it a good overhaul. 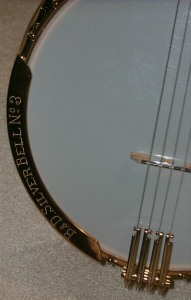 But taking the sage advice of banjo collector Michael Shames I decided to let a professional banjo luthier do the job. 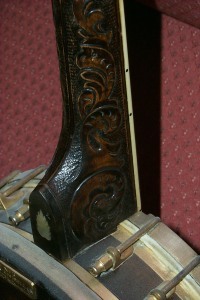 Michael suggested Renee Karnes of California who is regarded as one of the best luthiers in the world. Coincidently I met her at the 1999 FIGA banjo convention being held in Nashville, Tennessee. 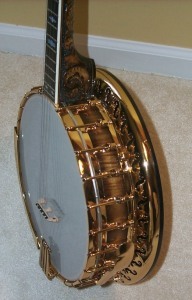 Renee faithfully restored the banjo to its original manufactured condition.